The 2015 Land Rover Discovery Sport compact luxury SUV is equal parts color-outside-the-lines off-road adventurer and elegant, capable on-roader. While shorter than the BMW X3 and Audi Q5 SUVs it targets, the new Discovery Sport offers a design and style package that actually feels roomier than its competition - not to mention off-road ability the others can't touch. Discover the discovery, safety first. I really haven't had to many issues with my car. I will say a young man hit my car and there was more damage to his car then mine. I really felt safe in my vehicle. The car is great for all weather, with the heated seats and steering wheel. I can say that it has been a great first family car. Discovery sport is a safe car. Really have had no issues with my vehicle other than nails in tires which you cannot prevent. 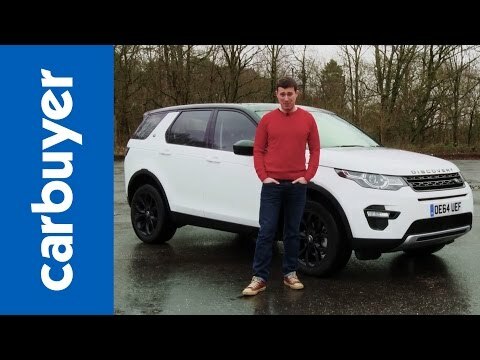 We have had really great luck with the discovery sport it is built like a tank. Somebody hit me last year and the damage was minimal to my car. Drives safe, I feel safe in the snow. It is fun to drive. It is stylish and comfortable. It gets good gas mileage. It's been very dependable. I like the gas mileage it gets. I also like that I only have to get my oil changed once a year. I dislike how much it costs to get my oil changed. I like the acceleration. i don't like all the weird electronic glitches. Jaguar Land Rover North America, LCC (Land Rover) is recalling certain model year 2015 Discovery Sport manufactured September 17, 2014 through November 3, 2014 and 2014-2015 Range Rover Evoque vehicles manufactured July 15, 2013 through July 1, 2015. In the affected vehicles the transmission sensor clusters may have insufficient crimps in the transmission wire harness, and as a result, the transmission may unexpectedly shift to neutral. Land Rover will notify owners, and dealers will inspect the automatic transmission serial number and if required, will update the transmission software to prevent the transmission from shifting into neutral due to a faulty crimp, free of charge. The recall is expected to began October 14, 2016. Owners may contact Land Rover customer service at 1-800-637-6837. Land Rover's number for this recall is P091. Jaguar Land Rover North America, LLC (Land Rover) is recalling certain model year 2015-2016 Land Rover Discovery Sport vehicles manufactured September 17, 2014, to March 5, 2016. In the affected vehicles, the license plate illumination lamp may fall out. As such, these vehicles fail to comply with the requirements of Federal Motor Vehicle Safety Standard (FMVSS) number 108, "Lamps, Reflective Devices, and Associated Equipment." Without license plate illumination, the vehicle may be difficult to identify at night. Land Rover will notify owners, and dealers will replace both rear license plate lamp housings, free of charge. The recall began on June 21, 2016. Owners may contact Land Rover customer service at 1-800-637-6837. Land Rover's number for this recall is P077.